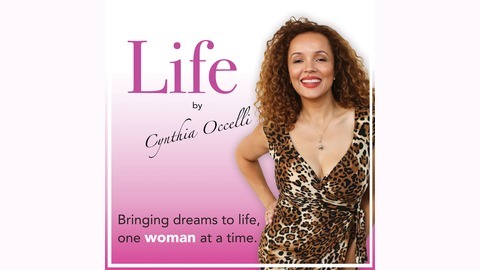 LIFE by Cynthia Occelli: Bringing dreams to life, one woman at a time. Description: Everyone is talking about self-love, but what is it? Is it indulging your desires? Withdrawing from uncomfortable situations? Standing up for what you believe in? Or is it just making yourself feel pretty? In this episode, Cynthia will give you her top ten self-love tips, plus two bonus tips. You’ll come away knowing exactly how to increase your self-love, self-trust, and enduring happiness. Time Markers: Get present (2:15) How to watch Cynthia’s “I AM WORTH IT” conference keynote speech (7:15) What self-love really is (9:00) Tell yourself the truth (12:40) Do this to build self-trust (14:18) Desire. Feed it now or delay it? (18:50) Face your fears (21:19) Have defined and measurable goals. (24:00) Do this every day to succeed. (25:35) Don’t look to others for your happiness or success. (28:03) Connect with your Source (30:30) What are you tolerating that needs to stop? (32:20) Forgive yourself for mistakes, regrets, poor choices, and every way you have ever disappointed yourself. (33:20) Every yes is a no to something else. (34:50) Be a method actor. (38:52) Question of the Day (40:20) Find your attachment style Quotes and Main Points: Every day I remind myself of what’s important to me so that I don’t find myself wondering where the last six months went. Fear is never scarier than when you are running from it. I promise you that the rewards of delaying gratification are much greater than the temporary charge you get from indulging your impulses. Mentions: The New Science of Adult Attachment and How It Can Help You Find – and Keep – Love, by Amir Levine Coming Alive: 4 Tools to Defeat Your Inner Enemy, Ignite Creative Expression & Unleash Your Soul’s Potential, Phil Stutz and Barry Michels (The tool is called the MOTHER tool) For extra connection and support, join me here: Wise Woman Sisterhood. 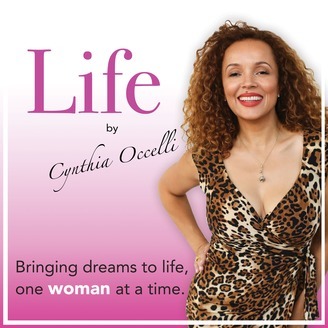 To submit your question for me to answer on the air email me at Cynthia@CynthiaOccelli.com or click “Meet Me” above. My online school: Beautiful Life School My book: Resurrecting Venus, A Woman’s Guide To Love, Work, Motherhood & Soothing the Sacred Ache Follow me on Facebook, Twitter, and Instagram. Give me your feedback, please leave a comment below. I read all comments.